Healthy lawns and well-cared-for exterior property elements go a long way towards elevating your home’s resale value. Making an investment in your home’s curb appeal and taking care of all its outdoor features are proven strategies that pay dividends down the road. With the holiday season fast approaching, here are five New Year’s resolutions you can make with regard to taking better care of your Calgary property. This one will help you get your year off to a good start. Both residential and commercial property owners are wise to make an investment in professional snow removal. It saves you time, untold amounts of labour, and reduces the chances of slip-and-fall injuries occurring on your property. 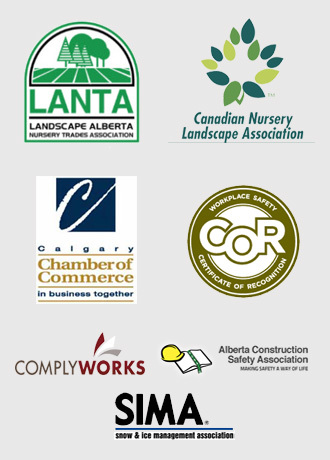 Mirage Landscaping’s crews can handle jobs of any size, and always deliver prompt, reliable service that keeps you on the right side of Calgary’s snow removal bylaws. One thing is for sure: winter will eventually give way to warmer weather and spring’s return. When that happens, it’s important for you to take care of essential spring lawn maintenance tasks to ensure your grass grows in strong, healthy, and ready for summer. The professionals at Mirage Landscaping have all the tools, techniques, and expertise needed to get your lawn off to the right start come spring. You’ll notice a major difference once summer is in full swing. If your property includes steep hills or sharp slopes, or if you simply have so much outdoor space that it’s difficult to stay on top of maintenance, construction features may be just the solution you’re looking for. Retaining walls are ideal for sectioning off property into discrete levels and helping you overcome the challenges posed by hills and slopes. Patios are perfect for outdoor entertaining, and they’re also a great way to reduce the overall amount of lawn space that you need to mow and maintain. Underground irrigation systems are a permanent solution to watering woes. These built-in sprinkler systems can be configured to adopt automatic schedules that take the guesswork out of watering, all while reducing the overall amount of water you use. They’re also perfect for delivering much-needed moisture to those hard-to-reach corners of your lawn. Mirage Landscaping is pleased to offer affordable, professional construction services to homeowners looking to add value to their properties while reducing their upkeep burdens. You can also count on Mirage to install, maintain, and service built-in lawn irrigation systems that help keep your grass looking green and full all summer long. The old adage that “good fences make good neighbours” is a wise piece of advice that is particularly applicable to city residents. Fences add both privacy as well as security, and offer one of the most affordable ways to upgrade your property. Mirage Landscaping has extensive experience building beautiful fences for less than you might expect to pay. Let Mirage take care of all the work for you while you relax and enjoy all the benefits of your new constrcution. Mirage Landscaping is a family-owned company that’s been serving residents and businesses in the Calgary area for three generations. Specializing in Calgary’s southeast and guided by trustworthy professionals with decades of experience, our crews get the job done in an efficient and affordable manner. We invite you to browse our portfolio of past projects to get a more clear idea of the kind of work you can expect from us. 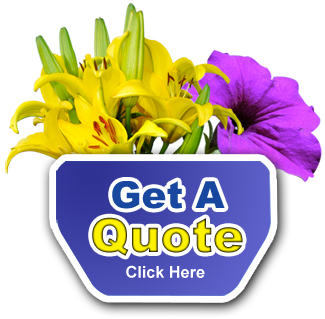 When you’re ready, get in touch with a Mirage Landscaping customer service representative by requesting a fast, free custom quote for all your outdoor property maintenance and improvement needs.